Julie Halton is Managing Director of Cardiff based IDS Security Systems Ltd after having bought the company alongside her colleague, Jennifer Horan, in a management buy-out (MBO) in 2013. 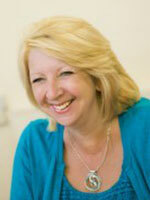 Julie had previously worked her way up to the role of Finance Director, having spent 20 years in the organisation. 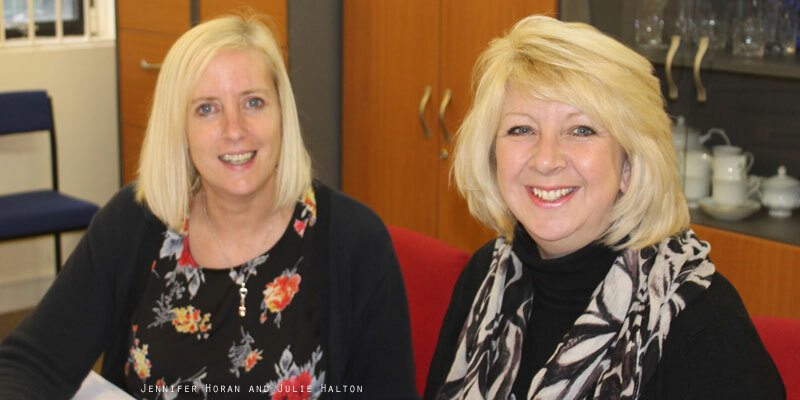 When the business was put up for sale due to the impending retirement of the previous owner, Julie and Jennifer decided to launch an MBO rather than having to work for a new buyer. Julie – first of all congratulations on the successful management buy-out. Please can you tell us more about what happened? The previous owner wanted to sell the company due to retirement, but we certainly weren’t expecting him to ask us if we wanted to take it on. We both thought we’d risen as high as we could within our roles, but it gave us food for thought. Jennifer and I have over thirty years’ experience in the company and felt it would be difficult to watch someone else come in to the company and do what we knew deep down we were more than capable of. We knew exactly what we were doing with the business and how it operated. We just needed a bit of confidence to take the plunge. In 2013, we made the bold move and mounted a successful MBO. Everything went really smoothly. The staff have been a huge support and without them we could not have done it. Most of the employees have been in the company for over ten years so to have their backing was paramount. Looking back we never imagined that we would one day own the company ourselves, but now we’re relishing the challenge and the business is growing. What were the greatest challenges you faced? Our greatest challenge was that overnight we suddenly became responsible for other members of staff. The business owes much of its success to the wonderful team of dedicated people we have here at IDS, and not only their jobs, but their livelihoods were in our hands. Previously there was always someone more senior to defer to – not anymore! We were now the ones making the major decisions. The business designs and installs CCTV and intruder alarm systems, fire alarm systems and barrier security, among other things, which is a very male-dominated world. Apart from one other woman in the office, the rest of our workforce is men. We’ve found that you do have to prove yourself, but that’s the same whether you’re a man or woman. We’ve a background that proves we know what we’re doing and feedback has been very positive. How much of a difference did it make to have Jennifer working alongside you? The fact that Jennifer and I are working side by side is a huge comfort for both of us. We both have the same work ethic and are of a similar mindset. We can bounce ideas off each other. We have complete trust and faith in each other and this makes for a great partnership. A shared good sense of humour helps too! What new opportunities have come about as a result of you and Jennifer taking charge of the organisation? The business is growing from strength to strength. We’ve recently taken on a raft of new and exciting projects in Wales and other parts of the UK for clients including housing associations, councils and businesses – one of most recent being a £700,000 contract. We’ve even developed opportunities to provide security solutions for listed buildings, which requires specialist expertise to provide a solution that’s within the regulations. People might think security isn’t very glamorous but we’re taking every opportunity to work with new technologies, and meeting companies across the UK who are at the cutting edge of the industry. Gone are the days of clunky cameras and a man to monitor your security; our engineers are currently dealing with wireless CCTV systems that allow you to track cameras from your sofa on your laptop, tablet or mobile phone. You and Jennifer are both mums and you’ve brought up your children whilst working in the company. How easy is it for women to strike the ‘right’ balance between work and home? Jennifer and I have both brought up our children whilst working at IDS. I was a single mum and we know the difficulties that having children and working can bring. It is extremely difficult to balance work and home life equally, and as every working mum will tell you, “guilt” and “working mum” go hand in hand. It has to be a juggling act depending on what the day brings. It helps to try not to be superwoman. My approach is to forget the dusting and spend time with the children instead. They won’t remember in years to come, if the house was a bit untidy occasionally; just that mum spent time with them. The world won’t end if you have microwave meals now and again! 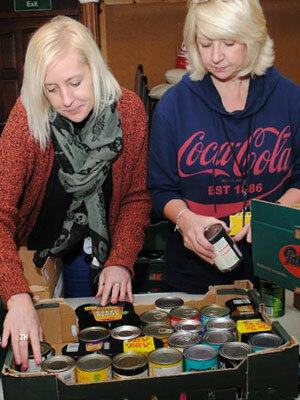 Working mums benefit from a give and take attitude. Nobody’s lives run smoothly and we all experience problems along the way. SMEs need to try and understand this. Flexibility in working hours is ideal but not always practical in every business. In a service industry such as ours, we are answerable to the customer 24/7 and these hours have to be covered. It is a team effort and we have found that if certain allowances are made with regard to time off, it is reciprocated from the staff without request. Just knowing that somebody understands the problem is a huge weight off the minds of working mothers. What would your advice be to women looking to start a business or acquire a business? Firstly, choose your partner or co-owners carefully. Just being friends is not enough. You have to have faith in the people with whom you go into business and know that your partnership is strong enough to handle any challenges. Do your homework about the type of company you are taking on. For us it was easy as we knew the business well and had years of experience, but it’s crucial. Have confidence. It’s easier said than done I know, but owning a business has made me more aware that people generally like to see success and are very encouraging – and perhaps even more so when women achieve it. What is next for you and IDS Security Systems? We have recently moved premises and are looking to expand our team of engineers and sales staff to cope with the increase in our sales and contracts. We’re also gaining major private and public sector contracts in Wales and across the UK – our most recent being a £700,000 contract. Jen and I are very passionate about supporting the local community. Before Christmas we’ll be taking part in a sleep-out to raise funds for Llamau, which supports the homeless, and volunteering at a local food bank for a day. We’re currently researching avenues to work alongside organisations that support our shared vision for corporate responsibility and the environment. It’s a really exciting time.